V2 Bianco is a property that is 97 square meters. It is a modern build with a very homely ambiance. 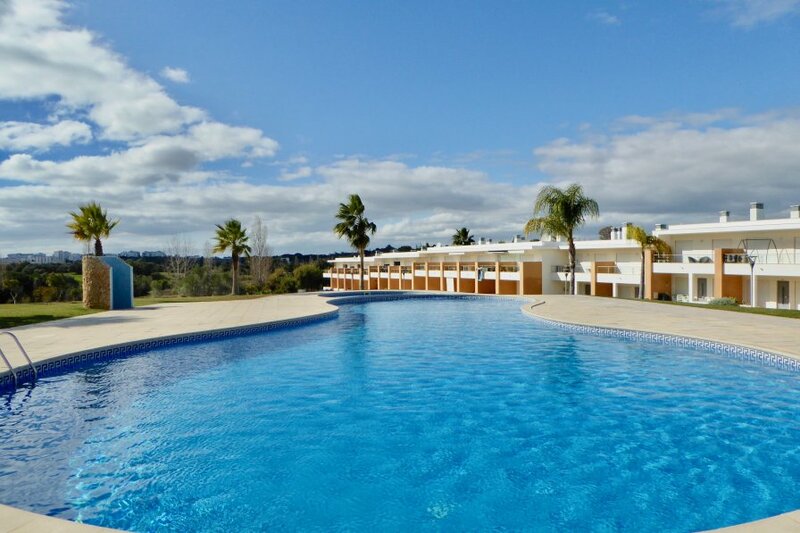 Within the grounds are spacious gardens and a communal swimming pool for a super holiday mix of fun and relaxation. Step outside the grounds of the property and you will find many activities and amenities within easy reach. The golden sandy Beach of Olhos da Agua is 3km away. Olhos da Agua town area offers a choice of restaurants and bars. The fisherman's boats can be seen very early morning on the beach here with the first catch of the day. The English Bar Strip is 3 km away and also Intermache Supermarket for all your holiday supplies. For a round or two of Golf, The famous Pine Cliffs course is 3km away. The property itself has wifi and the lounge has a TV where you will find an English speaking channel. The kitchen is completely equipt as you would expect from this delightful holiday home. There is a Dishwasher, Washing Machine, Microwave, Hob, Cooker, Fridge, Freezer, Crockery, Cutlery, Toaster, Juicer, Glassware and all utensils. A really super accommodation for a holiday with family and friends alike . Also a super location to make new friends too.